1 5m,20m,30m,40m...Customized size or shape is available. Customized size or shape is available. · Frame stress: hard pressed extruded aluminum 6061/T6(15HW) which can last more than 10 years. 40m span giant white PVC aluminum tent from china tent manufactory is large capacity, widely used for warehouse storage, exhibition, concert, trade show and so on. The common side height is 4m or 5m, it is ok if you want higher. The main profile is 120x300x6mm aluminum alloy, that is technically anodized. The spare part is steel, that is hop-dip galvanized. The roof cover is 850g/sqm PVC fabric, the sidewall cover can be PVC fabric, ABS walls, Sandwich walls, Glass walls. There are some accessories for you to choose, like glass door, lining and curtain, flooring system, clear PVC windows, AC, etc. 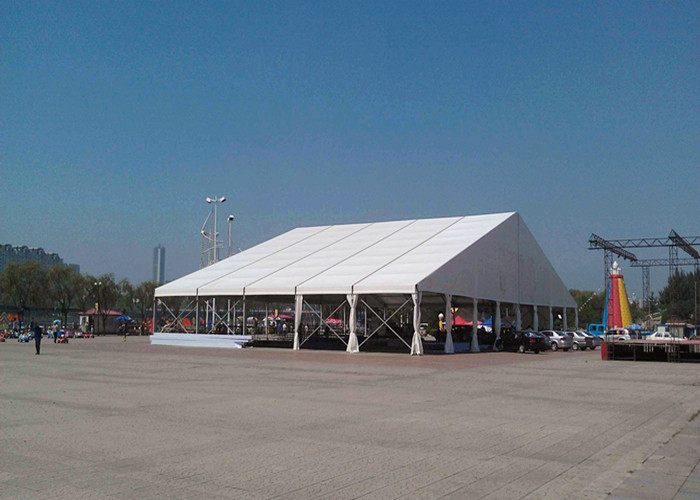 The 40m span large tent can be used for outdoor event, graduation ceremony, industrial warehouse, exhibition, trade show, etc. 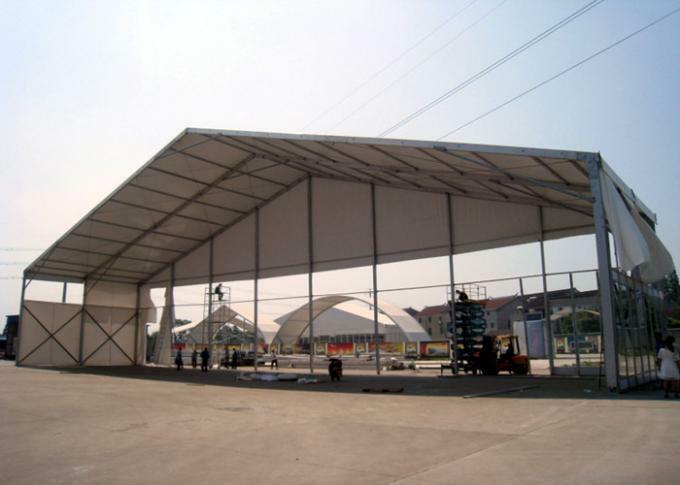 The large tent can be fixed on different grounds, like concrete ground, grassland, sand, etc.